A couple of decades ago, the Yarralumla Brickworks site was home to community markets and a colony of artists. This was the last time I visited the site. It was a fun place to be. Since these activities were closed down, there have been many options explored about how the place could be used. 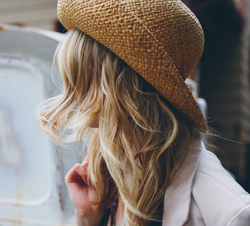 But in the end nothing has happened. 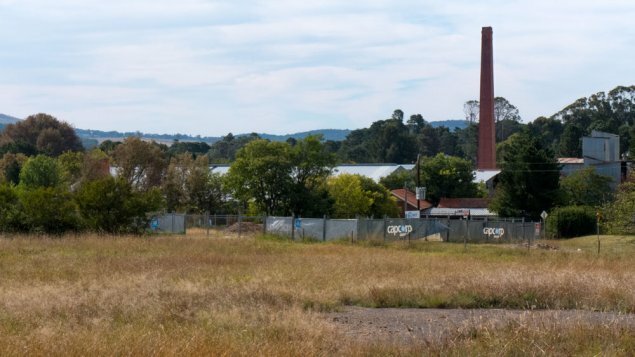 The Yarralumla Brickworks are again back in focus because of the government’s proposals to develop the parklands nearby for 1,800 residential units. No matter what happens with these more contentious proposals, it is timely to consider the future of the brickworks as a separate entity. The Yarralumla Brickworks site has heritage values given that it supplied the bricks for Canberra’s early years. This is to be celebrated. However the future of the site could be hampered if too much concentration is placed on saving the present industrial structures, no matter how cherished. It would be far better to ensure that the brief for the site had mandatory requirements for significant and innovative reminders, recognition and celebration of this heritage. The whole area should be designated as a community cultural centre. The main site should be converted to provide for a multitude of cultural arts uses. The model for this is the very successful Hazlehurst arts centre in the south of Sydney, situated in west Cronulla. The local government conducted intensive research on what makes an arts centre successful, with the measure being that it becomes a busy place for people to visit for a host of reasons. Hazlehurst is one of the most successful arts centres in New South Wales. There is a busy café as its core. To the west are community exhibition spaces alongside facilities for several general art classes and studios that are accessed by people day and night. To the east is a public gallery that exhibits touring visual arts as well as some local artistic endeavours. In front of the centre are parklands and gardens that are used for a number of reasons, included the occasional quiet picnic. The suggestion for the Yarralumla site is that it should include a parkland and playground. The playground should be large and be a celebration of bricks through the construction of model houses and other Canberra buildings. All the constructions should be predominately made of bricks with associated sculptural brick forms—all of which should be creatively appealing to children to play amongst and for them to imagine they are in their own suburb. The play suburb should be protected through a generous amount of shade trees. The perimeter could be circles of brick tracks to allow children to run around and to cycle freely around on giant circular pavements. In the centre, or where most applicable, there needs to be a sheltered gathering place for parents, with some form of coffee stand and snack bar. This needs to be located so that parents can keep a watchful eye on children as they meander throughout the playground. The brief for the new Brickworks Cultural Centre needs to insist on a creatively designed set of buildings that use bricks as their main material and that remind people of the original use of the whole site. How much of the original kilns need to be retained should be left open and considered once some creative solutions are on the table. As long as the new design concepts contain very significant and obvious recognition of the important role played by these brickworks in Canberra’s history, it may be possible that very little if any of the present kiln structures are ultimately retained. This issue will be the most difficult option for some to deal with, but the brief should be allowed to have as much flexibility as possible in addressing the heritage issues. I am very aware of the danger that this project, if managed incorrectly, could deliver superficial recognition of the heritage values. This would be the worst outcome. Therefore very intelligent decisions need to be in place upfront to ensure some brilliant solutions. The list of usual suspects who should not be involved is very long. We also need to be wary of the many who love to be on such panels. There has never been a “colony of artists” based around the brickworks. A woodworker and a sculptor rented space there. Other than that, it was only the antiques markets, and abandoned spaces out the back that were occasionally used as backdrops for fringe film footage and photoshoots – but never used substantially. Other than those tenuous links to the arts in general, the brickworks is a pretty standard industrial heritage site. There is simply no lively arts community history there. Costigan is drawing a very long bow there. I agree. Perhaps a first step would be to get rid rid of all the unwanted/unuseable structures and see what’s left. Then, perhaps a considered assessment could be done of how the remaining buildings could be used. Redundant industrial structures are normally demolished unless unless they can be converted for another purpose (ie: warehouses into apartments, the Old Bus Depot in Kingston). The problem in Canberra is that there is so little industrial heritage that it is is natural to want to save everything. Add to that, the fact that pretty much every redbrick cottage in Canberrra is a wonderful and evocative monument to the brickworks heritage! I’ve heard rumours that the Yarralumla Brickworks are haunted. Can anyone shed more light on this? I heard that it wasn’t a brickworks but an ancient Aztec sacrificial altar. (Pass it on). On a dark moonless night John Kerr’s ghost can be seen knocking back a few just behind the recycling centre, where the wife can’t catch him. I remember visiting the brickworks on an open day probably sometime in the 70’s. Sad that it’s still waiting. I think your memory may be playing tricks on you. I used to visit the Brickworks quite regularly myself and found the atmosphere quite gloomy and cold. There were antique stalls in the (?) kilns and a more upmarket one in what appeared to have been the office near the entrance. There was also a business selling recycled timber. And there may have been a refreshment caravan…I’m not sure. I’m not in favour of a mega development on the site and it would be good to have other options to pursue, but the main drawback will always be that the Brickworks were…a factory. Those tunnels will be very hard to make appealing. I had a look in there the other day and I agree, I don’t really see what could be done with the brickworks buildings themselves that would serve any function and still be in keeping with its heritage value aside from maybe running some tables down the middle of the kilns and having a candle lit restaurant or something along those lines. my hopes for the site would be restoration of the brickworks without any commercial aspects forced in, and a small number of dwellings (say 500) that don’t intrude upon the wooded areas. Those tunnels will be very hard to make appealing. I agree but good design may be able to make something of them. A few penetrations in the roof or side, some solution for the damp and they could maybe be as nice as the restaurant in a wine cellar in Pokolbin. Can you detail exactly what makes Hazelhurst stand out for you? I shall make the effort when I am next in Sydney to have a look, but it appears on their website to be much like any other of these efforts. Most attractive public spaces develop out of an organic communal need and the availability of low cost facilities. Attempts at creating this from above by bureaucratic fiat usually fail miserably. There are exceptions but usually they are much better located and have high levels of both design and finish, something we have only seen in New Acton. It might be different if the brick ovens were useful spaces, but I think they are rather low, cold, narrow and face east-west. Perhaps they could be wine or cheese cellars? Or have openings cut into them on the north sides? They are also down in a hole. Not to say that given some bright ideas they could not be turned into something. If there were a lot of nearby residents cooped up in miserable bland boxes they may seek external stimulation. The concept sounds excellent and you are right that it needs skilled application. Canberra is a mausoleum to mediocrity where public spaces and art are concerned. The dead boney hand of ACT Planning hovers eternally over everything, waiting to tap any bright idea on the shoulder, not even offering a quick despatch from their dull scythe, instead just a long and slowly lingering death. May I suggest a cycle/walkway along the old railtrack route be a key addition to reduce the inevitable parking and accessibilty problems the market concept may cause. Also close attention (for once) to Canberra’s climate with landscaped shelter from summer sun and winter southerly winds and an open welcome to winter sun from the north (yes Planning, it’s in the north in Australia! ).